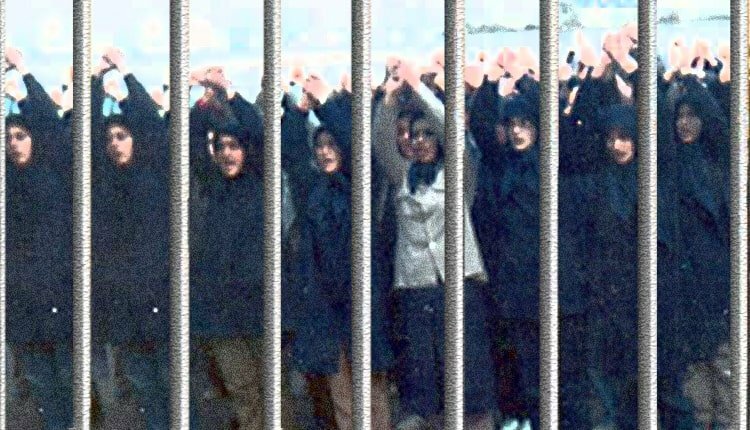 In the 1980s, prison guards, including in the women’s ward of Gohardasht Prison in Karaj, had understood that the key to the struggle and resistance of women prisoners was their collective life. So to break this spirit of resistance, they imposed new rules and punishments to break this collective spirit at all costs. The new rules included, among others: Sleep at 10 PM became mandatory; sports and exercising in groups of two or more became prohibited and punishable; it became forbidden to keep or exchange any notes; it became forbidden to eat in groups of two or more; any contact with the next cell was banned; and going to the cell window was banned from 6 p.m. They understood that the key to the resistance of the prisoners was their group and collective spirit, so they wanted to isolate the prisoners from each other as much as they could. In her memoirs, a former prisoner writes, “They once threw me into solitary confinement in order to punish me. Before the end of the first day, I felt worried and disappointed because I had been separated from my friends, until I decided to overcome the enemy’s trick. I tried to connect with other prisoners in the next cells. “First, I did not know what to do, until an idea came to my mind. I immediately tore off a part of my clothes, made a long rope from it, and by tying a small piece of stone at the end of it I could send a message or a part of my food to the cell next to me. “The friend, whom I did not know at all, and like myself was in solitary confinement next to me, got very excited by seeing this, and answered me immediately. From then on, I would contact her in this way every few hours, and she would hold on to the end of the rope, and would give me a response considering the situation. “With that, we could internally laugh at the enemy because we were able to defeat their plan. Each time, we planned the contacts more precisely until the plan turned into a chain reaction between several cells, and, while we would get information about each other’s conditions, our laughter and jokes broke through the loneliness, silence and depressing atmosphere of the cell.